Is diabetes the world's most connected health condition? The world marks January 11 as the 95th anniversary of the date that insulin was first used in humans to treat diabetes. Since then it would seem that barely a week passes without another device or treatment in the works. According to the Centre for Disease Control, more than 29 million Americans are living with diabetes, and 86 million are living with prediabetes, a serious health condition that increases a person’s risk of type 2 diabetes and other chronic diseases. One of the most notable diabetes devices of recent years is the MyDario all in one glucose meter. It enables people living with diabetes to test their blood glucose levels in seconds, directly onto their smartphone. A corresponding app can share this information with medical professionals and family members and also helps track carb intake and exercise. 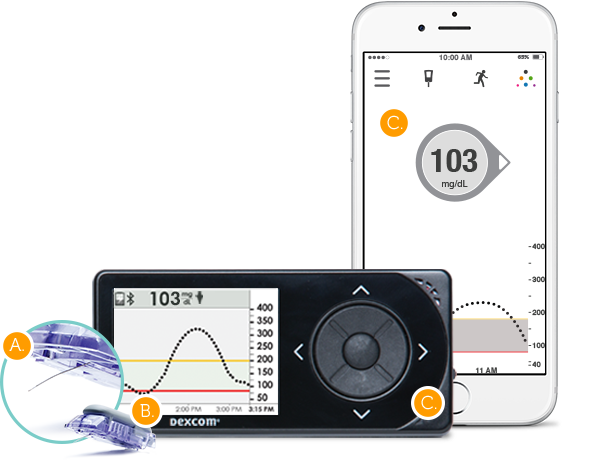 Dexcom has been providing a digital makeover to its continuous glucose monitoring systems for some time and the latest incarnation is the Dexcom G5 Continuous Glucose Monitory System. 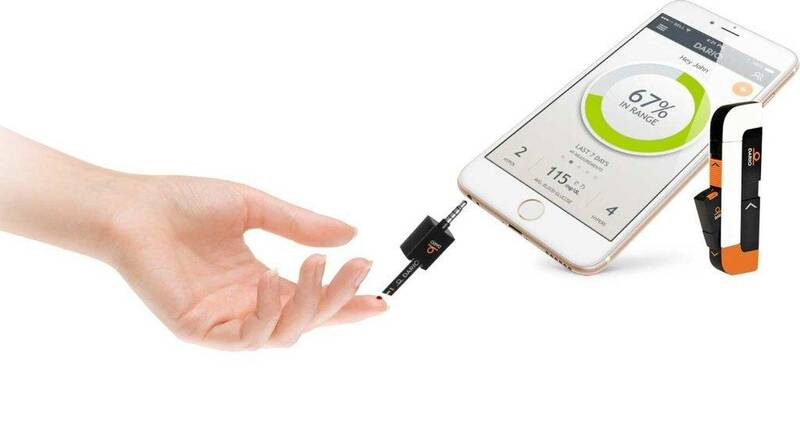 The wearable sensor and transmitter can collect glucose measurements and send it directly via the companion app to a smartphone. Readings are available every five minutes, and the app can alert patients through alarms if glucose levels are headed toward being too high or too low. In September 2016, the FDA approved the world’s first pancreatic insulin pump. Developed by Medtronic, the MiniMed 670G is the first device to combine an automated glucose monitor and an insulin pump and the first hybrid closed loop system in the world. It administers an accurate amount of insulin as required and will also automatically shut off insulin release when a drop in sugar levels is detected. This minimizes the risks of taking too much or too little insulin, both of which can have fatal consequences. The device has a continuous glucose monitor that constantly measures blood sugar levels. A sophisticated computer algorithm then figures out if someone’s blood sugar levels are too low or too high, and when too high, will give the correct insulin dose to bring the blood sugar level down.However, this device isn’t yet a fully automated artificial pancreas. People with type 1 diabetes will still need to determine how many carbohydrates are in their food and enter this information into the system. While these apps and devices are being created, tested and eventually released, a quiet revolution of biohacking has occurred simultaneously. 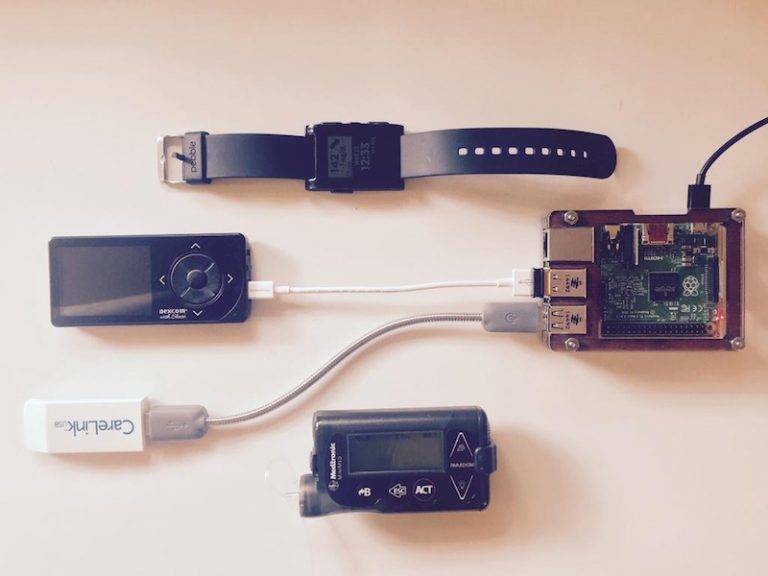 Using DIY IoT technology, social media and the hashtag #WeAreNotWaiting members of the diabetes community have been taking matters into their own hands, developing platforms and apps and cloud-based solutions, and hacking existing products. 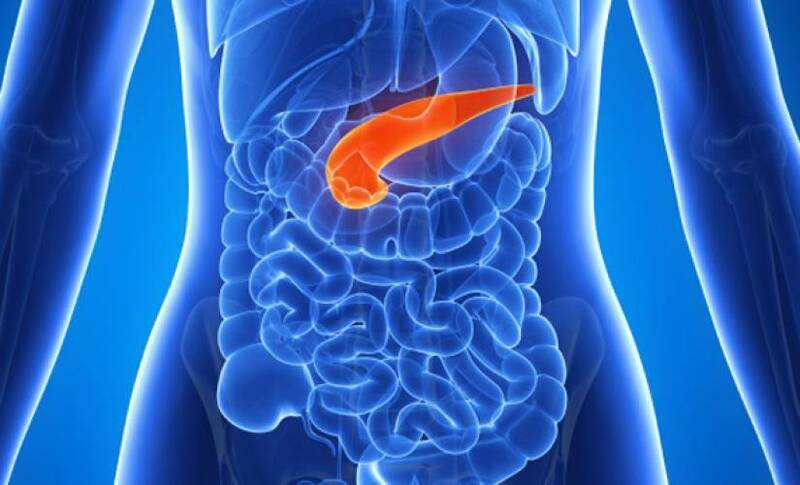 The Open Artificial Pancreas System project was invented in 2013 by Dana Lewis and Scott Leibrand and other activists. They’ve created a safety-focused reference design and a reference implementation of an overnight closed loop APS system that uses CGM sensors’ estimate of blood glucose (BG) to automatically adjust basal insulin levels, to keep BG levels inside a safe range overnight and between meals. 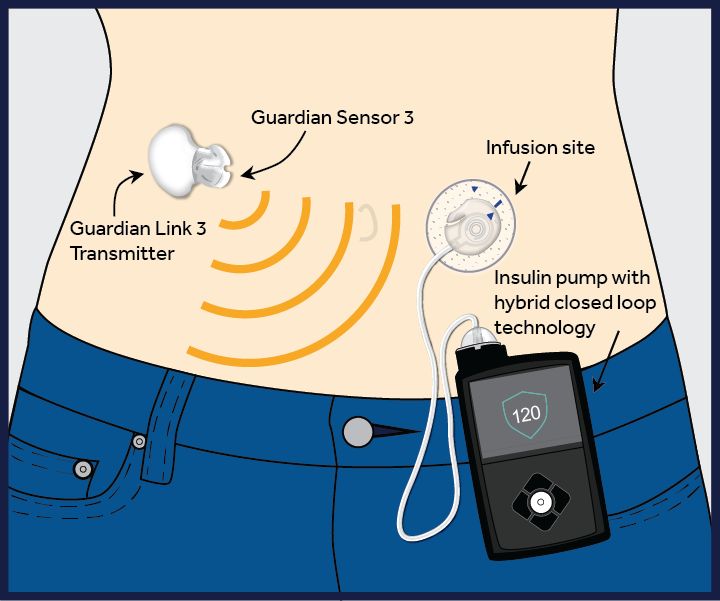 In regard to monitoring, diabetes activists have also created Nightscout, which combines a commercial product called Continuous Glucose Monitoring (CGM), a DIY transmitter, and the free and open-source Nightscout code that enables CGM data to be shared on a cloud, where it can be distributed to other devices like a parent’s phone or smartwatch. “We believe that we can make safe and effective APS technology available more quickly, to more people, rather than just waiting for current APS efforts to complete clinical trials and be FDA-approved and commercialized through traditional processes. And in the process, we believe we can engage the untapped potential of dozens or possibly hundreds of patient innovators and independent researchers and also make APS technology available to hundreds or thousands of people willing to participate as subjects in clinical trials”. Machine learning and AI are the latest tools in preventing (in the case of Type 2) and managing diabetes. An example of the Suggestic app that employs machine learning technology to extract and validate causal patterns between each person’s genes, metabolism, diet, and psychology. IBM Watson Health and Medtronic have also joined forces to create the Sugar.IQ app. It’s an app that uses real-time continuous glucose monitoring (CGM) and insulin information from Medtronic pumps and glucose sensors. Its aim is to find hidden patterns in diabetes data and will offer real-time and personalized insights. The app will provide individualized guidance in understanding and help to manage elements of daily diabetes decisions by creating a single platform that brings together relevant data and provides context and insights. It’s currently awaiting FDA clearance before release, and future developments include integration of data from other digital health devices like fitness trackers and the ability for users to ask Watson questions and get particular insights on demand. Smart technology can dramatically improve the lives of people with diabetes. However, it is difficult to manage the nexus between consumer demand and medical compliance as smart health devices take a long time to come to market and their costs may make them inaccessible to many. But it’s likely we’ll see more developments in 2017 as more and more technologists work to combat the problems of diabetes.